Destiny, you may believe, is what leads you to fall in love with a particular person or to become an artist or animal-rights activist. 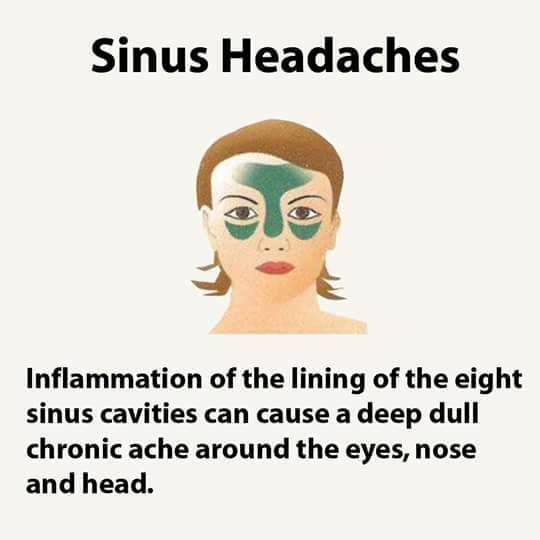 But could destiny determine the type of headaches you get—for instance, tension headaches that feel like you’re squeezed into a child-sized helmet…migraines that feel like a knife in the eye…or sinus headaches that make it too painful to bend over? In Ayurveda, an ancient system of healing wisdom, the three basic doshas—vata, pitta and kapha—are said to be derived from the five elements of earth, air, water, fire and space. Each person typically has two governing doshas, with one being the lead dosha. Your dosha shapes everything about you, from your physique to your personality to the particular maladies you’re most vulnerable to. To reduce the frequency of your headaches and lower discomfort when they do arise, these are suggested First, identify your predominant dosha…then follow the appropriate dosha-balancing strategies. Note: Products mentioned below are sold in health-food stores and generally are safe, but it is best to work with an Ayurvedic practitioner who can ensure that they are right for you and suggest dosages. Vata — Linked to the elements of air and space, people with this dosha tend to be energetic, lean and muscular. Vatas also are excitable, anxious and reactive…are prone to joint or muscle aches, constipation and/or gas (which can create stress that contributes to headaches)…and often feel cold. Headache type: If you are a vata, you are vulnerable to tension headaches. The pain may be a throbbing in the back of your head or neck or it may feel like a constricting band around your head. Typically, headaches arise when you push yourself too hard, disrupt your schedule or repress your emotions. Pitta — Associated with fire and water, pitta is the dosha linked to metabolism and inflammation. Pitta people are average in size and build…tend to be intense “type A” perfectionists…and often feel too warm even when others are cold. Headache type: If you are a pitta, you are prone to migraines. Typically (but not always) the pain is in the eye area on the right side and is accompanied by nausea, light sensitivity and irritability. Kapha — Governed by the elements of earth and water, kapha is associated with stability and groundedness. Kaphas often are large-boned…may suffer from congestion, fluid retention, body stiffness and lethargy…and have a tendency to gain weight. Headache type: If you are a kapha, you are prone to sinus headaches, which affect the forehead and face and intensify when you bend down. Buttermilk, salads, and boiled rice sautéed with cinnamon, cumin seeds and garlic or asafoetida are good in the daytime. Do not get too tired. Eat at regular times, and do not skip meals. Do not eat or drink anything, you think brings on a headache. Limit the amount of tea, coffee and painkillers you use. Watch your posture. Try to keep your neck straight. Keep your muscles relaxed when you are not physically active. Try not to frown or tighten your jaw. Restrict your physical activities in hot weather. Avoid bright or flickering lights, loud noises or strong smells if they trigger headaches for you. Make a note of facts which trigger the headache and the foods. Try to avoid these . Avoid spicy foods, coffee, tea , alcohol,onion and garlic. Avoid citrus fruits except lemon. Try muscle relaxation exercises. Progressive muscle relaxation, meditation and yoga are definitely going to help. Relax at least for half an hour everyday by doing your favorite activities like listening to music, gardening, taking hot water bath etc. Rest in a dark, quiet room when you feel a headache coming on. Place an ice pack wrapped in a cloth on the back of your neck and apply gentle pressure to painful areas on your scalp. Pathyadi Khada: 10 – 20 ml, once or twice a day before or after food or as directed by Ayurvedic doctor. Shirashooladi Vajra rasa: 125 – 250 mg once or twice a day, before or after food or as directed by Ayurvedic doctor. It is advised along with goat milk, honey or water. Bhoonimabi khada: The dose is 12 – 24 ml, before food, at about 6 am and 6pm or as directed by Ayurvedic doctor.It is advised to have a little honey after taking this Kashayam. Godanti mishran in the dose of 1-2 tablets twice daily with lukewarm water controls migraine. Soak 5 raisins and 5 almonds in water at night, next day morning, eat them. Take the juice of Tinospora cordifolia (giloy), in doses of 10 ml with honey. Ayurveda pandithe malini ammavrige Dhanyavaadagalu…. A very nice article miss.. May u write many more.., n share much more knowledge…. This one is very useful article since it clearly explain about tridoshas vis a vis headache types. Thanks a lot madam ji ,keep writing God bless you.